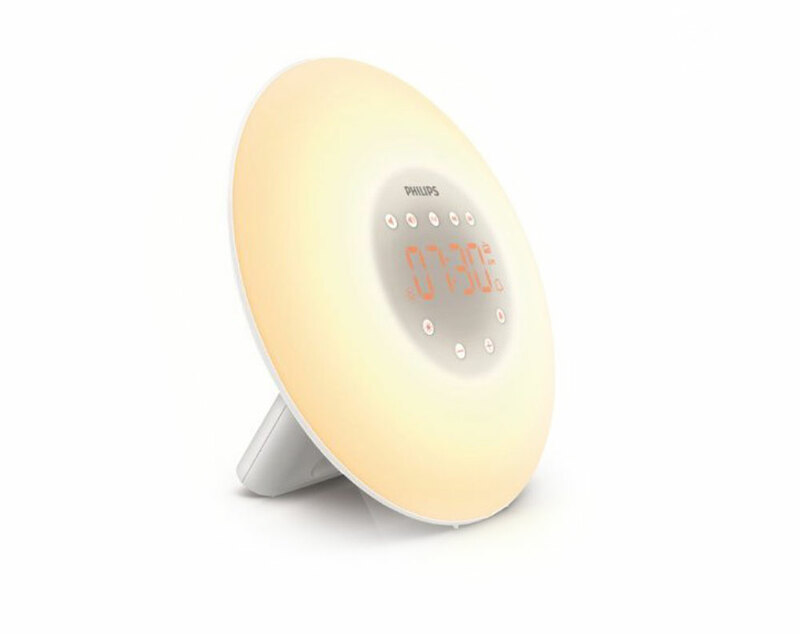 Summary: If you want a sunrise wake up alarm with an FM radio built in then this is a great choice, a modern sleek design allowing you to wake up to the sound of your favourite radio station as the light awakes you from your sleep. A great all rounder with everything you want. 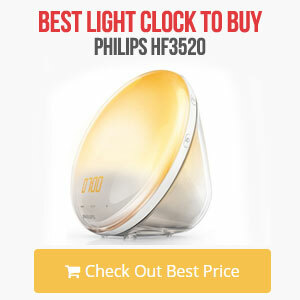 This is the next model up from the entry level HF3505, the Philips Wake-Up Light Alarm Clock HF3505 is the same design and look as that one however there are a few extra features. 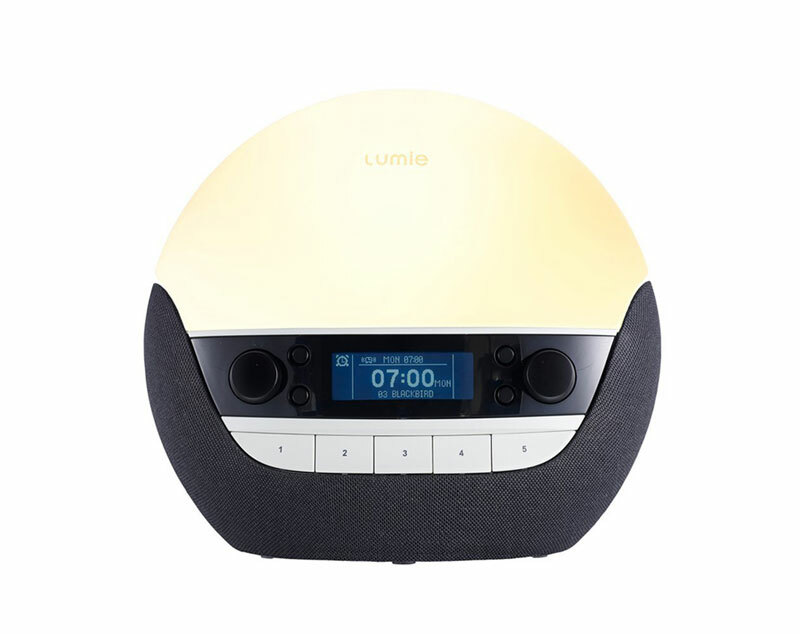 These include 2 wake up sounds that include a’Bird song’ and ‘Birds in the forest’, there is also a FM radio built in so you can wake up to your favourite station if you wish. 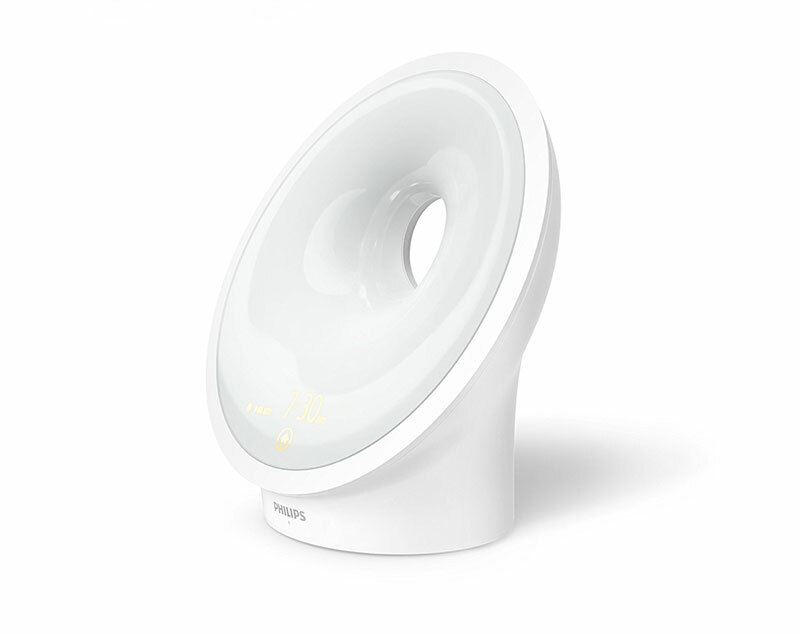 In terms of other features it is the same with 10 brightness settings, 200 lux LED lamp; snooze function, and a 30 minute sunrise simulation duration. There are two wake up sounds you can choose from, the forest bird song is great, and there is also a bird song too, they are just short sound clips that repeated. If you like to listen to the radio in the morning then you can set this to your chosen station and it shall starting playing this for you when you get up, this isn’t a DAB radio but is still a good signal and sound. 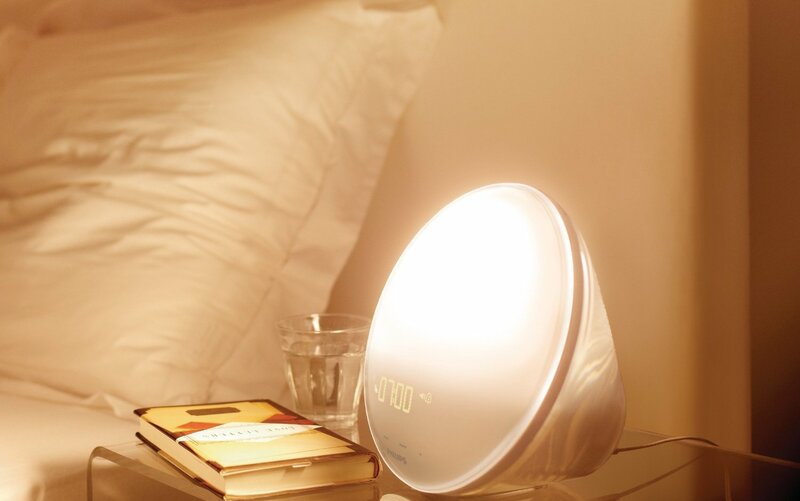 As with all Philips Wake-Up Lights it can be used as a reading light, allowing you to adjust the brightness up and down allowing you to read and not disturb your partner, and so it isn’t so bright it keeps you awake all night. 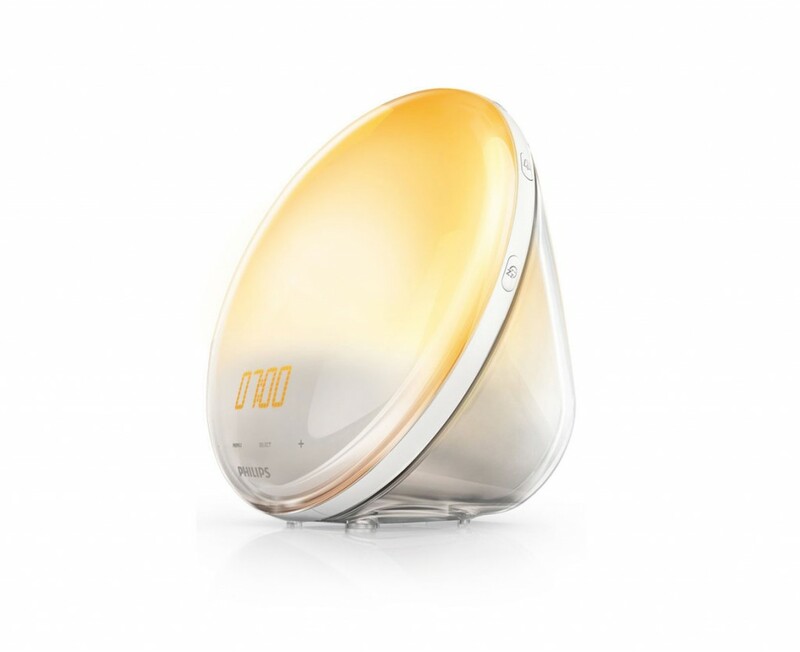 A sleek stylish and well built light and alarm it looks great and is compact so won’t take up much space on your bedside table. 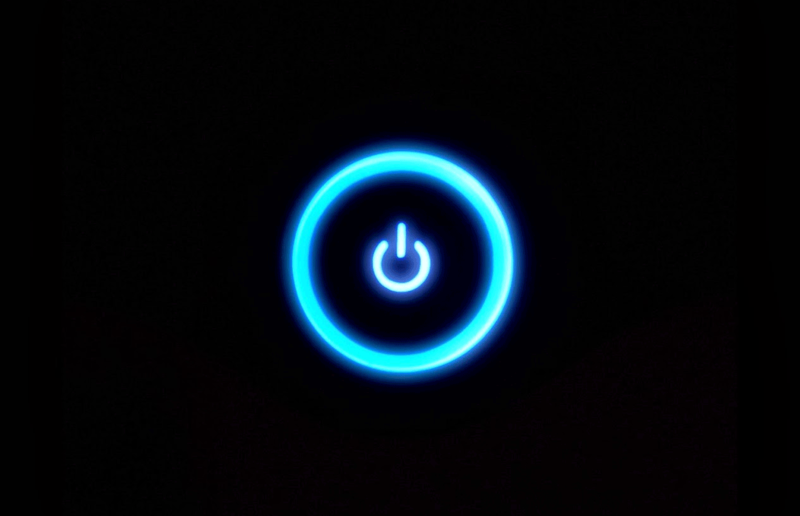 The buttons are easy to use on the front and the clock can be dimmed down, although it cannot be turned off completely and is still noticeable in the dark when dimmed to its lowest setting. The maximum brightness is 200 lux, this should be more than bright enough for most people however if you are a deep sleeper then you may want to look at the next model up which goes up to 300 lux. There 9 small buttons on the front which are around the digital clock, these are quite small and can be fiddly to press. The instructions are clear and easy to follow however the buttons and icons on them are not easy to see or use. Once set up though and the alarm is set and you have got all the settings as you want in terms of the brightness of the light, radio station etc, then there isn’t any need to change anything. 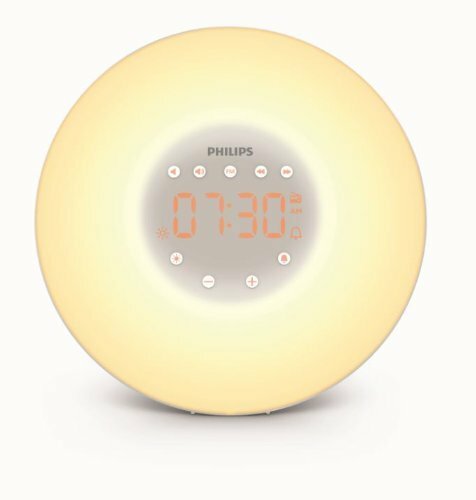 You can pick this light up for under £90, it does have everything you need and the radio function is a great addition and useful if you don’t like the standard alarm sound that is on the entry model before this one. This is a good light and great if you want a radio built in, if you are not so fussed about the radio then you may want to look at the entry model which is slighter cheaper and doesn’t have this feature. 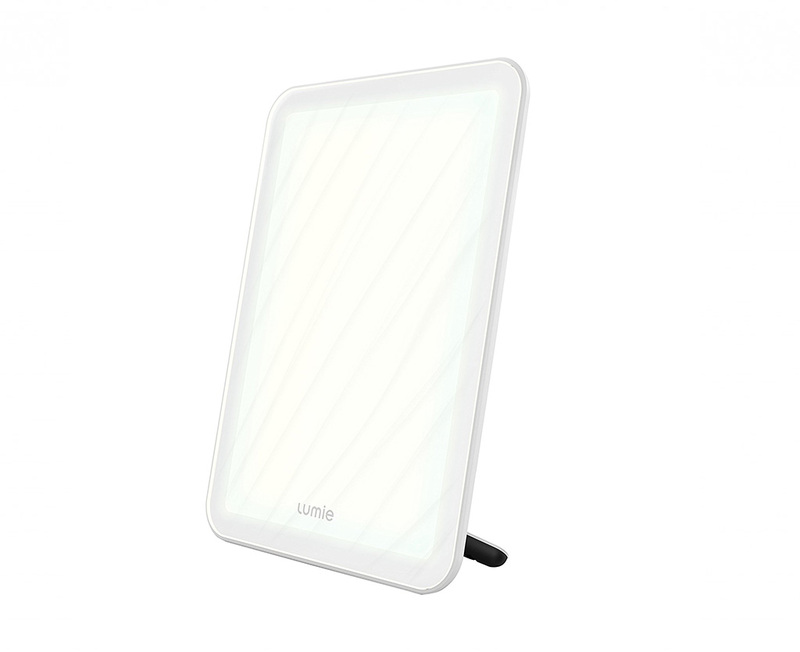 If you want to spend a little more and get something brighter to ensure it works for you then check out the next model up which will go up to 300 lux and also has a radio built in and few other extra features as well.